Voting in a government for a third term is a serious commitment. The first term can be put down to the heady promise of first romance, and second terms are all about offering an opportunity to finish the job. A third term though, requires a mature decision, with eyes wide open. It calls for a conscious vote of confidence that – warts and all – this really is how we want New Zealand to be run until 2017, at least. Below, I’ve set out reasons why making that commitment to National would be a very bad idea. Sure, divorces can be painful. It can be scary to start out again. Yet on economic, social and ethical grounds, this relationship now seems to be kaput. Sure, there have been external problems. The Key government has certainly touted its achievement in steering the economy through the Global Financial Crisis, the aftermath of Pike River and the Christchurch earthquakes. Yet in reality, the Key government has had a lot going its way. It inherited low levels of Crown debt. Economic growth and demand from China and Australia was robust, during and after the GFC. Commodity prices and the terms of trade have been at historic highs for almost all of the past six years, and the Christchurch rebuild continues to inject huge amounts of insurance money into our economy. Other countries got through the GFC thanks to a government stimulus package. Our stimulus package started with Christchurch, in ruins. In other words, the issue isn’t that the Key government has steered New Zealand safely through the economic hard times – instead, its more true to say that it has made heavy weather out of some reasonably favourable conditions. One thing we do know. The blink –and-you-missed-it recovery is now on the downward slope, and economic reality looks like getting uglier from here. We know that because Treasury has been openly predicting economic growth to steadily fall, dropping to 2% by 2018 which is well below the current growth figures. If we re-elect National, it will be in the knowledge that – literally – this has been as good as it will get for the foreseeable. Has it been that good for you? Yet…. even within National’s heartland, there is an underlying feeling that the country is adrift, that serious social problems are being addressed piecemeal if at all, and that huge unmet needs exist in health, education, housing, and child poverty. Our mediocre economic prospects – in an export economy still heavily dependent on dairy and logs – are of concern, even to many true blue National voters. If Key, English and the team can do this poorly when they’ve had the best terms of trade in a generation, how will National possibly manage when things get rough ? We could shrug our shoulders and say we are an inherently low growth economy and we can’t do much about it. But anyway it doesn’t matter because our natural resources and commodities enjoy such strong demand. If this is what we want, National is offering a perfect set of conservative policies to keep delivering it: 1980s monetary policy that controls inflation but to the detriment of the dollar and interest rates and thus export competitiveness; a superannuation time bomb; and tax policy that skews investment to property and away from production. Moreover National offers R&D grants to a few companies at the expense of wider innovation; incentives for more natural resource depletion and commodity production; and declining investment in science in real terms, as shown in the government’s draft 10-year science funding strategy. 1. The Key government is planning to reduce the extent and quality of public services. If this fall was occurring in the context of a fast-growing economy, the declining ratio mightn’t matter so much. Yet remember, Treasury is predicting economic growth to slow after 2015, and to continue chuntering downhill until 2018 at least. Public services will be receiving a smaller slice amid a scenario of growth in decline. Some right wing extremists – hello, Jamie Whyte – may welcome the forcible shrinkage of government. 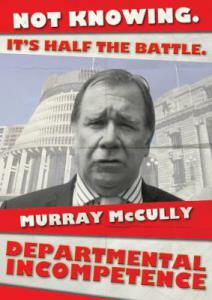 Yet despite the stereotypes, New Zealand’s public service bureaucracy is neither large, nor particularly well paid. Szuzsanna Lonti heads the statistics and indicators unit in the Budgeting and Public Expenditures Division at the OECD. As Lonti pointed out during her recent visit to New Zealand, New Zealand’s pay levels for public servants are “ below average ” – and at only 9.7% of the total labour force, the size of our bureaucracy is well below the 15% OECD average. There are no soft targets here anymore, in any ‘ cut the size of government’ crusade. As CTU economist Bill Rosenberg says, “ The big question for the election is: what is National intending to do to public services and welfare post-election, to meet its own Budget forecast?” We’re not talking about frills and handouts. This is about cuts to the quality and availability of basic public services that we’ve pay taxes to support, and which have already gone through six years of pruning. 2. Despite the existing levels of child poverty. Working For Families has been cut by stealth. “modest” tax cut for low and middle income workers was on their third term agenda. Good news for low and income workers ? Well no – more a case of robbing Peter to pay Paul. The Working For Families scheme meant to subsidise low paid workers for the fact they’re living in a low wage economy has been quietly shrunk by National. Working For Families payments have gone down from $2.79 billion in mid 2010, to a forecast $2.53 billion in 2014, with a further decline forecast to $2.47 billion in 2018. Arguably, the most cost-effective way of helping low and middle income workers – if that’s the goal, rather than simply buying their votes – would be by putting the $500- 750 million for the tax cut bribe back into Working For Families, and into other public services relied on by those in need. 3. National’s decision to stop payments into the Cullen Superannuation Fund has been idiotic. Since its inception, the NZ Superannuation “Cullen” Fund has earned nearly $25 billion, and in 2013 it earned $5.5 billion – more than the entire asset sales programme. Built into the legislation are long term benchmarks that the government has to meet in terms of funding. The longer it stays out of investing in the Fund, the more money it will have to put in later. I suppose it could just change the legislation. Shifting the goal-posts won’t change the reality of the opportunity wasted. Oram : “Over the past five years, the Superannuation Fund has made a 76 % return. So, if National had kept up its contributions, the Fund would have an extra $3.8 billion in net returns. I would argue this is a prudent thing to do. Bill English would argue that no, no, its better we have the cash and we can keep our deficit to a minimum…But our country’s finances were never as horrendous as those of most other countries [in deficit] Therefore, I always felt National was exaggerating the risk. “ Mainly, so that it could brag about its surplus on the election hustings. 4. National has failed to acknowledge, let alone resolve the housing crisis. While in denial over the existence of a crisis, National has belatedly offered some small and conditional assistance with mortgage deposits : a prime effect of which will be to push house prices even higher. Even those who can meet all the relevant conditions – five years in Kiwisaver etc – will still be left facing a huge shortfall given housing prices in the likes of Auckland, and will still be required to service huge mortgages, just as interest rates begin to rise again. As always, National is mainly “helping” those who are least in need. The decline in home ownership is having devastating consequences for household budgets. From the 2013 Household Economic Survey figures, there are striking differences in the fates of people who rent, compared to people with mortgages. Between mid 2010 and mid 2013, rental costs shot up by 12.1% on average, whereas mortgage payments rose by only a remarkable 1.1% (Not that it has been all roses in the mortgage belt. Property rates rose by 15.8% and building-related insurance rose by 32%, partly on the back of 2012’s boost to the EQC levy, to refill its coffers. There is also a generational crisis looming here, as this research shows. Home-ownership is far more common among 60 + baby boomers than among the current 40-49 age group, much less among even younger groups now saddled with student debt. By providing only token solutions and denial over the crisis affordable housing, National is virtually ensuring that future generations will be left facing a poverty crisis over their accommodation. 5. 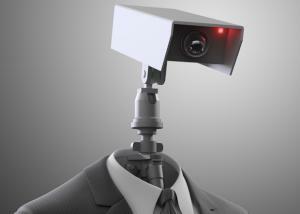 The government has violated privacy and increased the powers of the surveillance state. For a political party that in Opposition made so much of the horrors of the ” nanny state,” National in office has become the new best friend of the Deep State. 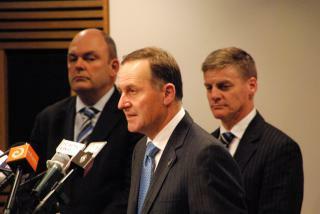 Famously, the Key government has passed the GCSB and Related Legislation Act, which enables the GCSB to spy on New Zealanders ; for good measure it then passed the Telecommunications Interception Capability and Security Act, which gives sweeping interception and monitoring powers over our digital traffic to the same grey bunch of spymasters, whose weakness for illegal behaviour has already been well established. The concern is not simply that the powers of the GCSB have been significantly expanded. No effective Parliamentary or judicial oversight exists of either the SIS or GCSB. To cap off this dismal picture, the Minister nominally in charge of these agencies (ie. John Key) has proved to be remarkably shifty about the process by which his old chum Ian Fletcher was chosen in late 2011 to head the GCSB. Finally, Key has professed serial ignorance of (a) the existence of the flamboyant German millionaire living in New Zealand’s biggest mansion within Key’s own electorate (b) the then-pending FBI/Police raid on Kim Dotcom and (c) the suspiciously speedy and selective response by the SIS to an OIA request by blogger Cameron Slater, and which happened to embarrass Labour leader Phil Goff. Throughout the period National has been in office, state power has been vastly expanding at the expense of individual rights, and with minimal independent or ministerial oversight. A lot of our expanded surveillance activities – many of the details have been exposed by Edward Snowden – have been at the behest of the US, via our role as an obedient member of the Five Eyes intelligence sharing partnership. 6. Beyond the Christchurch rebuild, there’s not much going on in the way of net job creation. Reportedly, four years after the first Christchurch quake, only 10% of the rebuild has occurred. Even so, the job creation that is occurring in regional New Zealand is almost entirely a Canterbury phenomenon, within the Christchurch rebuild bubble. “ Net of Canterbury,” Oram says, “there has been no job creation elsewhere in the country.” Meaning : If you’re not a construction worker, if you’re not involved in building houses in Christchurch or in Auckland – or, if you’re a woman – this government really doesn’t have a clue about how to generate jobs for you, or your children. 7. After six years of this government, New Zealanders are barely keeping their heads above water. The trap to avoid here is English’s continued citing of average wage rises. That’s deliberately misleading. (Sack a lot of low and middle income workers, and the average wage rises.) The more relevant figure is the median wage, the midpoint. How have we been doing? On the plus side – and using Household Economic Survey figures – the hourly median wage rose by 7.9% between mid 2010 and mid 2013, to $21.58 an hour at this time last year. (Note how close that is to the basic $18.80 Living Wage hourly rate – yet another sign of our low wage economy.) Median weekly income for people in paid employment rose by 9.6% while the median weekly household income rose by 9.9% over the same period. Sounds… OK? Most of us are treading water, at best. Inflation rose by 8.7 % during the same period and – tellingly, average weekly household spending after inflation rose by 2.1% between June 2010 and June, after inflation. That’s not surprising. 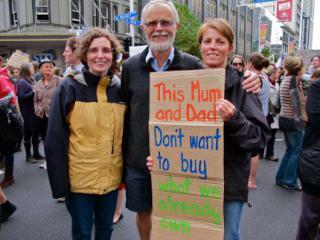 Households in New Zealand are carrying a large burden of debt. Yet at both ends of the spectrum, people are spending more – some by choice, some because they have no choice. Where the spending rises have occurred has been interesting. Spending on transport rose 20.8 % between June 2010 and June 2013, with the bulk of that coming from the cost of private transport, with motorists facing a 20.1% rise in the cost of petrol. (Not a great advertisement for building more motorways.) Food spending rose by 8.5% in the same period. Meaning: after six years under current management, the flatlining income levels of New Zealanders are of concern. Don’t let them scare into thinking this is all that you, and your children, can hope for. 8. Our sovereignty in foreign policy and trade has been diminished. The government has put most of its trade policy efforts into securing the Trans Pacific Partnership deal with the US, Japan, Chile, Malaysia and several other Pacific Rim countries. There’s a problem with that. The TPP (a) involves treaty commitments that over-ride national sovereignty (b) is being conducted in secret without any significant public input or mandate and (c) is widely acknowledged even by conservative trade experts to be driven by US corporate agendas that have very little to do with free trade. If completed, the deal will also expose New Zealand to so-called ‘investor state’ dispute procedures whereby foreign corporates will be empowered to sue future New Zealand governments if they happen to lose money when we pass laws to protect our environment or the health of our citizens. 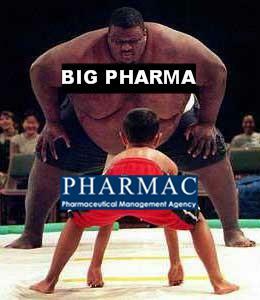 To date, leaks from the bargaining arena have indicated that New Zealand has been willing to trade off aspects of Pharmac’s operations – mainly to do with Pharmac’s timely and money-saving access to generic medicines – in the faint hope of gaining access to Japan’s farm markets. So far, Japan has not budged and at best, it would be 10-20 years before we reaped any benefits from the farm access in question. Luckily, the TPP has bogged down. This is partly because (among other things) the US Congress has not yet granted President Barack Obama the “trade promotion authority” he needs to ratify the deal. For now, other countries can see no good reason to exert themselves and in pursuit of a TPP deal that Obama will almost certainly be unable to get through Congress. Under both the Clark and Key governments, our acquiescence to US trade agendas has echoed New Zealand’s compliance with US foreign policy. Already, such surrenders are creating difficulties in our relationship with China, now our main trading partner. In coming years, New Zealand will need to be willing and able to juggle its trade and foreign policy overtures with China on one hand, and with the US on the other. It is not a job that can be entrusted to a Key government that seems to automatically wag its tail whenever Washington whistles. 9. No discernible plan exists for growing the economy in partnership with the private sector. Hate to be a killjoy, but there is more bad news on the way. here as well. Despite the rhetoric about the virtues of an export led economy, exports were a declining proportion of the New Zealand economy, even before dairy prices started tumbling in February. Steven Joyce is more of an activist Minister than his immediate predecessors when it comes to the state’s role in the economy, but that’s not saying much. So far, the Key government’s best shot at forward planning is something called the Business Growth Agenda. Briefly, the BGA is a laundry list of about 360 projects grouped under six headings. Some of these projects are praiseworthy – but essentially the BGA is a taxonomy, not a plan for action. So what’s missing? “What’s missing.” Oram replies, “ is any sense as to where to the rest of the developed world is going.” In his view, the world is utilizing radically different business models in – for example – the energy sector, in new materials, and around concepts of sustainability. “We’re missing out on the speed and complexity of technology change.” If political foresight is lacking, business also displays a remarkably short focus, Oram concludes, on the next regulatory change. 10. The Key government sold down stakes in our highly performing assets – power companies and Air New Zealand – for no good social or economic reasons. I know, asset sales seem so last year. Yet on Election Day they deserve to be held against the political party that carried them out against the will of the public who used to own them outright. Not only have we halved our revenues from these assets. Half of our stake was cheaply, to relatively few wealthy individuals and institutional investors, despite the sentimental rhetoric about “Mum and Dad investors.” Post- sale, Oram says, the yields from Genesis –which is supposed to be a public utility – have been among the highest on the entire sharemarket. Nice outcome for the few, given that the capital expenditure for the foreseeable future has been paid for by the taxpayer. Even when the sales were first being proposed, critics were demonstrating that it would be cheaper and smarter to borrow to pay down debt, rather than sell down these assets. Add in the transaction costs of preparing and publicising the share floats, and it is to easy why Bill English long ago stopped making a case for the asset sales programme based on its economic rationality. And this is even before voters remind themselves about the $30 million gift by the Key government to Rio Tinto, which they plainly didn’t need. The prospects ahead? Not so good. Mysteriously, power bills remain high even though demand is down and capacity is up. This can’t last. The fallout could leave some gentailers losing profits at the wholesale end, while being expected to pass on lower retail prices to their customers – a double whammy for them. In the meantime, things are looking so rosy that there is talk of the energy companies using their excess funds to buy back the shares that have just been sold. Feeling anxious yet? Meet some of National‘s new best friends. 11. Our export economy is still dangerously dependent on dairy products and raw logs. Despite the promise by Finance Minister Bill English to “ re-balance” the New Zealand economy from its dependence on relatively low value agriculture commodities, it still hasn’t happened. Our dependency on farm exports has increased on his watch, with deliberate policy encouragement ( e.g. the funds being poured into irrigation projects.) Externally, this has left our economy peculiarly vulnerable to swings in commodity prices. Dairy prices for instance, have dropped 45% off their historical highs in February, and this decline will take an estimated $5 billion out of the economy next year, and the flow on effects will include a widening current account deficit. Sure, government apologists could argue that the $5 billion price cut was just a bubble, and returns have now fallen back to 2012/13 levels. This assumes everything else will remain static. It won’t. As Oram says, our dairy export rivals such as Ireland and Holland ( within the EU alone) have been investing heavily in dairy production. “Ireland is planning to double its milk output over the next ten years…” Right now, the Russian embargo on European dairy exports means that global markets will soon be awash with European dairy powder. It is hard to see how our dependence on dairy is anything more than a recipe for New Zealand’s slow decline – before we even begun to count the environmental cost. Internally, we also face capacity constraints : we can’t increase dairy volumes by more than 2% annually and the new fresh water restrictions will make even that level of growth hard to sustain, presuming it was a good thing in the first place. Besides our EU rivals, Oram also points to price constraints. In his view, the market clearing price for milk powder is circa $US3,500 a tonne, the point at which the price of milk ingredients gets too high, and substitutes begin to look far more attractive. In short there is an imperative to (a) diversify from our dependence on dairy and (b) invest in adding to the value chain for dairy products in more innovative ways than Fonterra’s current interest in UHT milk. 12. The Key government has presided over persistently high levels of unmet, unmeasured need in our health system. Where to start? In 2013, a major survey into the health system’s unmet need found some 170,000 Kiwis are being turned down every year from getting onto public health waiting lists. While 280,000 Kiwis met the clinical threshold for elective surgery, only 110,000 were being placed on the waiting list. It should be a concern to the medical profession that there are no substantial data on the amount of unmet need in this country, and there seems to be no plan to measure it. Indeed, it appears there has been no attempt to measure the number of people in the community with conditions that affect their quality of life, employment prospects and their need to remain for long periods on benefits…. There are also no data on how many of these people were referred to the public hospitals and refused a first specialist assessment. None of these data are required of, or collected by, the Ministry of Health or the district health boards, although many of the latter have indicated their wish to “measure and acknowledge the level of unmet need in their population”. How can valid opinions be formed on whether the level of resourcing is appropriate or whether the health system is performing efficiently without these data? Indeed. As Bagshaw and others pointed out in mid 2014, the current six month waiting list system – implemented by Labour in 2005 and tightened under National – is central to the problem. Getting sick people onto the waiting list forces everyone (patients, GPs and specialists alike) to game the system and exaggerate the symptoms, in order to ascend the priority ladder and get access to treatment. “We are drowning in a sea of spin. People have heard the spin from so many politicians over the years they have just resigned themselves to the fact that they won’t get treated in the public system.” Last year, the Canterbury Charity Hospital, one of only two in New Zealand, completed almost 1400 operations or treatments on patients who were not in enough pain to access the public system. 13. 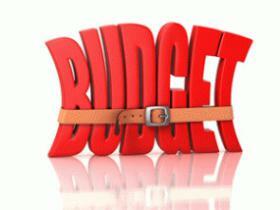 A slim Budget surplus has been achieved by real cuts in health and education. This will get worse. A month before the election, the BERL consultancy did some simple arithmetic (for the Greens) on what the government is proposing to spend on health and education spending over the next three years, based on figures in the May Budget. It makes for scary reading. BERL economist Ganesh Nana has pointed to a real (ie, after inflation) cut in health spending of 4.5% between this year, and 2017. Moreover, Nana added, since inflation in the health sector routinely runs well ahead of general inflation, the projected cut in health spending looks more like 9.8%. A similar exercise shows that a 1.7% cut in education spending is planned between now and 2017. By the same calculations, spending on the environment is set to decline by a massive 13.9%. This should be a major election issue. As the population ages and income inequality fuels the diseases of poverty, New Zealand should be planning to increase – not decrease – its real spend on the public health system. Especially since, as Treasury has conceded, almost all the “efficiency” savings that can be wrung out of the public health sector have already been made. In education, the same arguments can be made. If spending on public education is planned to be cut, there is – at the very least – no room for the government’s experiments with charter schools. The response from Finance Minister Bill English was that the Greens had got it wrong, because they’re ignoring the amount routinely set aside in the Budget for new and discretionary spending – much of which, English has argued, tends to be spent on the health sector. Fine. Except this will be from the same discretionary spending treasure chest [set at $1.5 billion a year from next year] already earmarked for tax cuts to low to middle income workers, and for paying down debt. Many voters would probably forego five or ten miserly dollars a week from National’s tax cuts – if they’re lucky in oh 2017, if it meant that public services in health and education would be properly funded in the meantime. 14. Child poverty is being virtually ignored. However poverty is measured, the figures are shameful. The 1982 level of child poverty was 14 per cent. 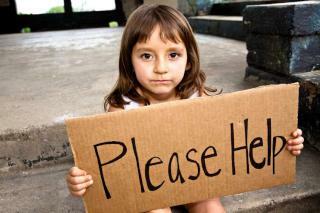 Since then, it’s doubled, according to the 2013 Child Poverty Monitor, with one in four children now living in poverty. Today, child poverty is embedded in our vernacular with almost 280,000 children impoverished – that’s something like the population of Hamilton and Dunedin combined. 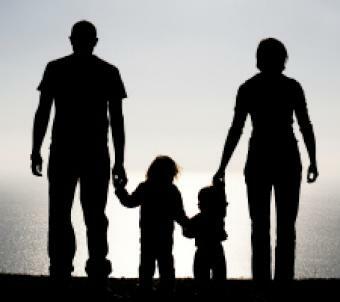 Sixty-three per cent of poverty-stricken children are to be found in beneficiary households; 53 per cent in single parent families. One in six European children live in poverty with Maori and Pasifika twice as likely to be so affected. The fact that 63% of children living in poverty are in beneficiary households – and half of them in solo parent households – looks like simple proof that the benefits (such as the DPB) that are meant to support such children are too low, or the eligibility criteria are too high. Yet National – which has a long tradition of beneficiary bashing – continues to penalise the health and wellbeing of children according to the work status of their parents. For their own good, of course. In that respect, a party vote for National looks more like complicity in the perpetuation of misery. 15. The Ultra Fast Broadband rollout is too little, too slow, and is self-defeating. Obviously everyone wants better, faster and enhanced access to broadband whether through fibre, copper or satellite means of connection. 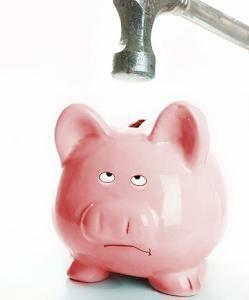 The problem is that the government is doing too little, too slowly and arguably, too cheaply. In effect, our UFB rollout will be delivering 10Gb a second while the rest of the world has raced ahead, and is actively pursuing broadband speeds ten times as fast. While falling, our retail prices for this inferior Internet access still rank among the highest in the developed world. For a small distant country dependent on telecommunications, successive governments have royally mismanaged this sector ever since we sold Telecom in the late 1980s. Clearly, making UFB services available around the whole country – including rural areas – is important for enabling us to do things in the economy we couldn’t otherwise do. Belatedly more money – up to a further $210 million – is now being thrown at the rollout. Arguably, if more had been injected into this crucial project from the outset, we would be getting there sooner, and with lower prices that would enhance the take-up of the service. Instead, Oram says, National has chosen to “parsimoniously recycle through Chorus a relatively small sum of money. …But then this comes back to Bill English’s intense conservatism.” It is also an example of the Key government’s willingness to subordinate the UFB rollout (one of New Zealand’s prime infrastructural projects) to its political desire to trumpet a Budget surplus. 16. The Key government has lowered the standards of ethical governance, and accountability. When it gets hit with scandals of its own making, the Key government routinely saddles the subsequent inquiries with narrow terms of reference that exempt itself from scrutiny. A few months ago for instance, the government set up an “inquiry” in a way that prevented any examination of the role of Foreign Affairs Minister Murray McCully (and his office) over the bungled granting of immunity from prosecution to the Malaysian diplomat allegedly responsible for a sexual assault on Wellington woman, Tania Billingsley. Thanks entirely to the way it was structured, this “ inquiry” could only ever be a “blame the officials and only the officials” exercise. Same story for the “inquiry” into the role of former Justice Minister Judith Collins in allegedly undermining the state agency that investigates white collar crime. Again, the government has written terms of reference that exclude scrutiny of the role of the Prime Minister’s office. Thus, there’ll be no searchlight shone onto the possible culpability of the PM and his staff in planning and abetting the takedowns of rival politicians and public servants, allegedly in unison with blogger Cameron Slater. On National’s watch, this erosion of accountability has become endemic. In July, the IPCA watchdog on Police behaviour exonerated the Police – previously zealous in pursuing the inadvertent taping of Key’s ‘cup of tea’ conversation with John Banks – for their decision NOT to prosecute the GCSB over the spy agency’s deliberate and illegal eavesdropping on Kim Dotcom and 88 other New Zealanders. If Colin Craig wants to get excited about one rule for all, maybe here is where he could start. 17. The state’s coercive treatment of beneficiaries will pick up pace. Globally, cracking down on welfare by centre right governments is rewarded, politically. To the working poor, benefit payments can readily seem like money stolen from the taxes they’ve worked to pay, while the wealthy are just as prone to regard beneficiaries as somewhat lacking in moral fibre. Obviously, the state can legitimately expect beneficiaries to work, rather than live on a benefit – but only if the state has done its bit by competently managing the economy so that sufficient jobs are available to those capable of working. Throughout its crackdown on welfare however, the Key government has skived off from its part of the social bargain. The jobs aren’t there, but Paula Bennett and her crew have imposed tough, intrusive and demeaning work conditions on beneficiaries, regardless. To be fair, Labour is not much better. 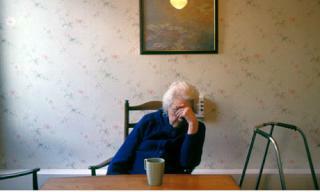 It devised Working For Families to soften the impact of our low wage economy, but then excluded beneficiaries from it. Labour has had to be dragged kicking and screaming (by the Greens) to the realisation that the children of beneficiaries deserve the same levels of care from the state as the children of low paid workers. The outlook is poor, though. As Bill Rosenberg has pointed out, Treasury is estimating – based on population changes and CPI increases – that Social Welfare spending (apart from National Super which is sacred) will fall by a huge 11.9 per cent in real terms between 2013 and 2018. Meaning : a mean society beset already by crimes of resentment and desperation, is about to become a whole lot meaner if National is re-elected. 18. The government is failing to fund the gathering of essential information. As even conservative NZ Herald columnist Fran O’Sullivan has indicated, the government has not invested in some of the basic information gathering that’s essential to good decision making – not even in a contentious area like foreign ownership of land, and foreign speculation in our housing stock. There is no log of how many foreigners are buying houses in Auckland or even how much of our farmland is in foreign hands. The OIO [ Overseas Investment Office] does record “sensitive” land sales. But if that land is sold back to New Zealanders it does not appear to be notified to the OIO. This is needed if there is to be a strategic approach to the leveraging of the country’s prime assets. In this respect, the percentage of foreign ownership of farm land or houses in Auckland –while a hot potato, politically – is actually less important than being able to keep score on the extent of foreign control of our export value chain. Doing so is supposed to be central to how the Overseas Investment Office assesses foreign investment applications. In reality, its doubtful whether the OIO has the ability, or the inclination, to do so. 19. National and its crackpot allies in the Act Party still believe cutting taxes is a path to growth. Elect Act in Epsom… and New Zealand will once again be at risk from the bargain bin remnants of US right wing political thinking. 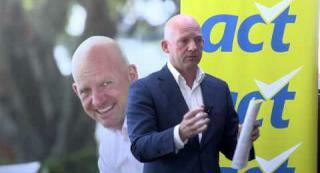 Flat Earth Alert : Act Leader Jamie Whyte already wants to scrap the Overseas Investment Office and make New Zealand the first and only developed country to have no rules on what foreign investors can buy and control. Those who laugh may be forgetting what happened in 2011 with charter schools, which were sprung on New Zealanders after the election, without ever being mentioned during the campaign. By such methods, National outsources its extremist ideas that lack a mandate – but which are delivered through the back door regardless via its coalition deal with Act, without putting National’s ‘moderate’ brand at risk. This year, Act may well be the Trojan horse on corporate tax cuts. Heaven help us. The notion that countries – or US states – can jump start economic growth by cutting income and corporate tax rates is an Act Party policy perennial and its leader Jamie Whyte has claimed that cutting the corporate tax rate is his party’s No.1 priority. In the real world it didn’t work for Ronald Reagan in the 1980s, and it isn’t working now. California, Colorado and now Kansas have all in recent memory swallowed the Kool-Aid that the road to economic growth is paved with tax cuts, and Kansas is now paying a price ( mainly in steep cuts to education) for its folly. Oh, there’s more on the tax cuts failure here, too. Great for business, but the tax cuts have just left Kansans facing a $338 million hole in the state Budget and massive cuts in public services. Let’s hope someone asks Whyte about what’s happening to his pet ideas right now in Kansas – hopefully, before he does a deal with National post-election, to replicate the same mistakes here. New Zealand has one of the lowest (public and private) R&D intensity among advanced OECD countries, slightly behind Southern European countries and a good distance from Australia, Canada and Denmark. Furthermore, the share of total R&D performed in the private sector is also among the lowest across OECD countries, implying an even lower ranking in business R&D intensity. After banging the drum for more state and private sector r&d spending and better support for knowledge-based industries in ICT…the authors exit stage right, still pondering ….“ the apparent puzzle between the perceived quality of the policy settings on the one hand, and the absence of catching up in productivity and living standards, on the other.” It would be comical if it wasn’t so tragic. What it illustrates is an addiction to an economic orthodoxy that has produced a lot of noxious social outcomes, alongside the mediocre and unsustainable economic ones. If this country re-elects John Key and his National Party, it will be condemning itself to more of the same. Lets not. * Rod Oram now recalls this anecdote was from an interview with John Key after the 2011 election, and not last year as he previously advised.